We all know that mattresses aren’t cheap. My first mattress cost $600 dollars and was the cheapest one in the furniture store. I bought a $1200 bed and asked specifically to buy the cheapest mattress they had and that was $600. No one warned me that the cheapest mattress in the mattress store was going to be terrible to sleep on in a few months. Online mattress shopping has completely changed the mattress buying experience and consumers are greatly benefitting from that. You can easily buy a $600-dollar mattress or one way cheaper that is much higher quality than what I bought in the furniture stores. After reviewing a ton of mattresses this past year, I found several inexpensive mattresses that I was shocked at the quality of sleep and quality of materials for that price point. If you are sleeping on a mattress that has seen better days, you can greatly upgrade your sleep surface with a mattress that doesn’t break the bank or your back. Check out some of the best queen mattresses under $400. Memory foam mattresses are extremely popular these days. 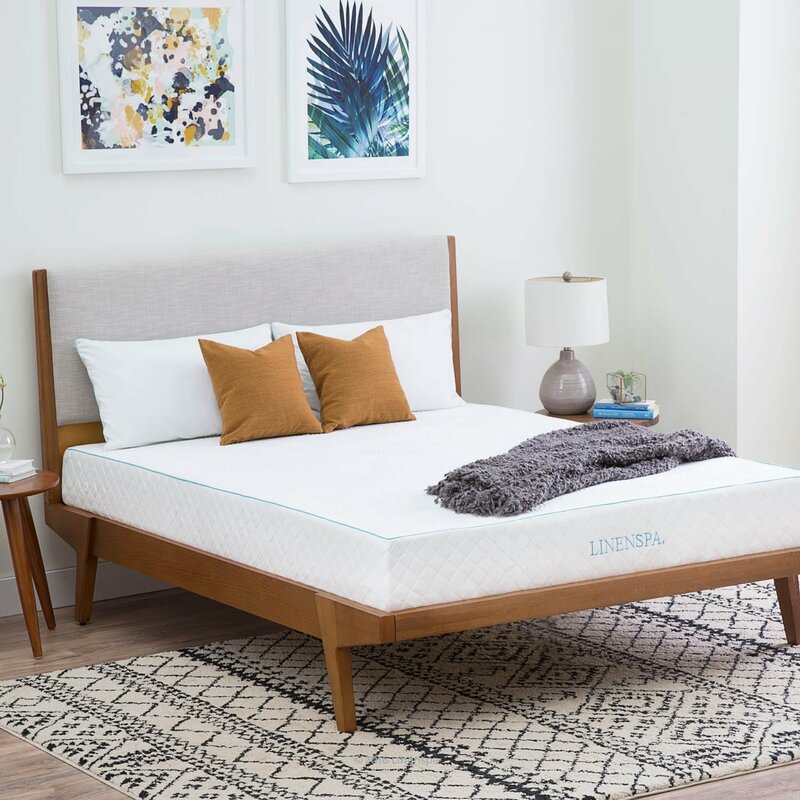 Memory foam is no longer the sauna that it used to be as mattress companies have infused gel, green tea, copper, charcoal, and a ton of other temperature regulating materials to ensure that you will sleep cool throughout the night. Memory foam adds excellent pressure relief for those who suffer from back, shoulder, neck, and hip pain. Memory foam mattresses provide a great sleep surface and are extremely popular. Zinus Memory Foam 12 Inch Green Tea Mattress is $189 for a queen. This memory foam mattress is ultra-comfortable with 4 memory foam layers infusedwith natural green tea extract to maintain product freshness. Green tea is also a safe and trustworthy antioxidant. Zinus has an array of high quality sleep products that they sell direct to consumers for extremely fair prices. If you want the pressure relief of memory foam at a bargain price, Zinus will shock you with quality for such a low price. Lucid’s 12 Inch Gel Memory Foam Mattress will run you around $373 for a queen. Not bad for a 12-inch memory foam mattress infused with gel beads to manage mattress surface temperature. The Tencel Lyocell cover adds a great layer of softness and moisture wicking comfort. 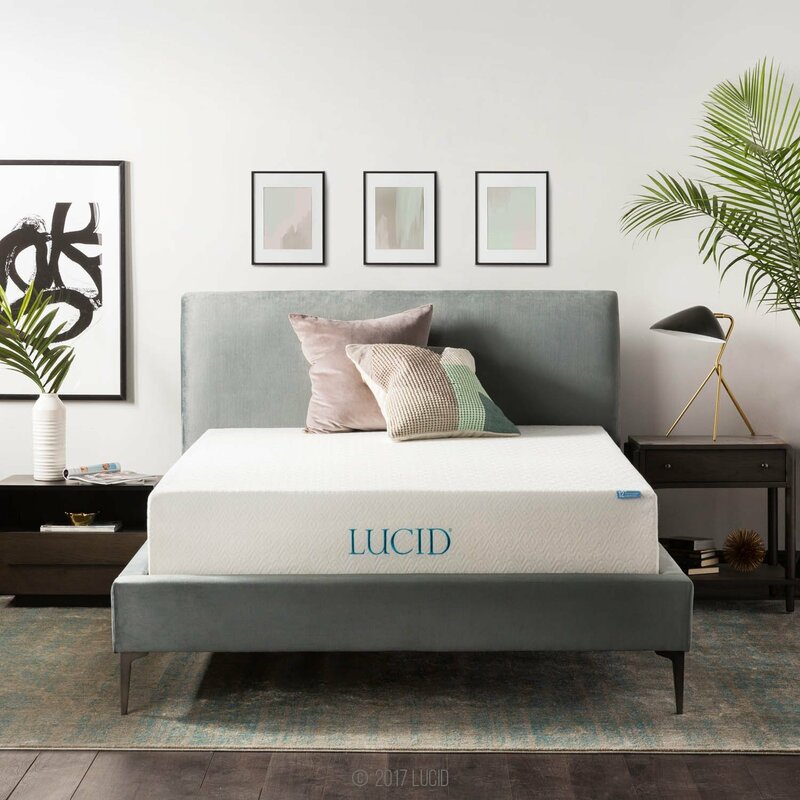 Lucid has thousands of positive reviews and sells a ton of quality sleep product at bargain prices without sacrificing on quality. Linenspa’s 10-inch Gel Memory Foam Mattress in queen will run you around $272 dollars. This medium feel mattress helps to relieve pain and pressure points by correctly aligning the spine and by supporting the natural curves of your head, neck, and shoulders. The super soft bamboo cover and the gel infused memory foam regulate temperature, so you stay cool throughout the sleep session. 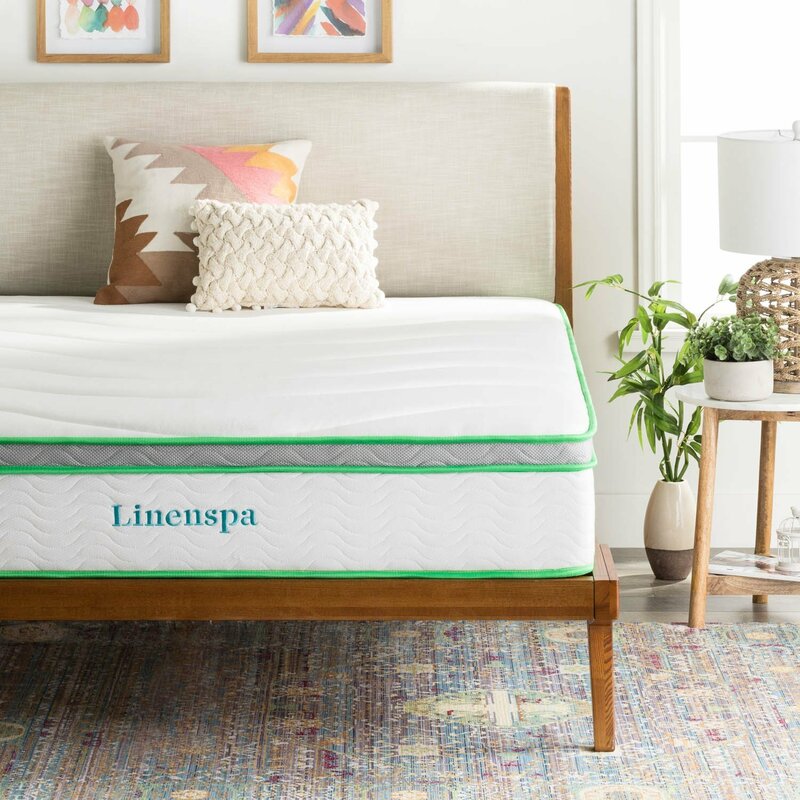 Linenspa has a ton of high quality sleep products that are very reasonably priced. Latex mattresses are known for being durable and often time being expensive. Since latex sleeps very cool, it’s very popular with those who don’t like the sinkage they experience with memory foam. Latex is also all-natural and antimicrobial. Latex is known for having a bounce similar to a spring mattress. When you sleep on latex, you sleep on top of the mattress and don’t have the sinking feeling you have with foam. Latex is also very popular with those who don’t get in and out of bed very easily due to the buoyancy of the surface. Lucid’s 10 Inch Latex Foam Mattress will run you $337.99 for a queen. 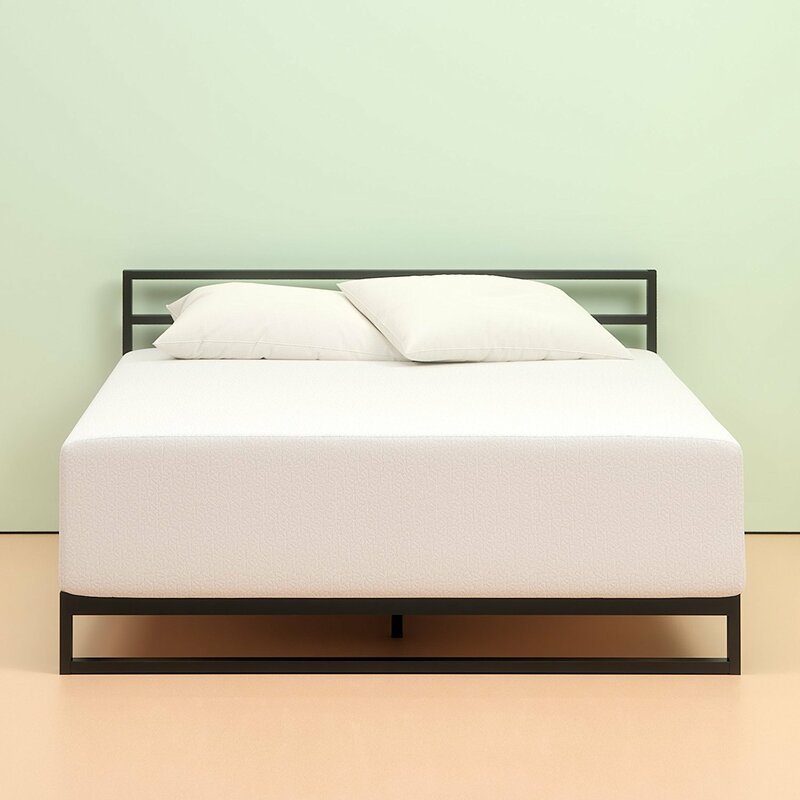 Like all Lucid sleep products, the 10 Inch Latex Foam Mattress is great quality and ultra-affordable. 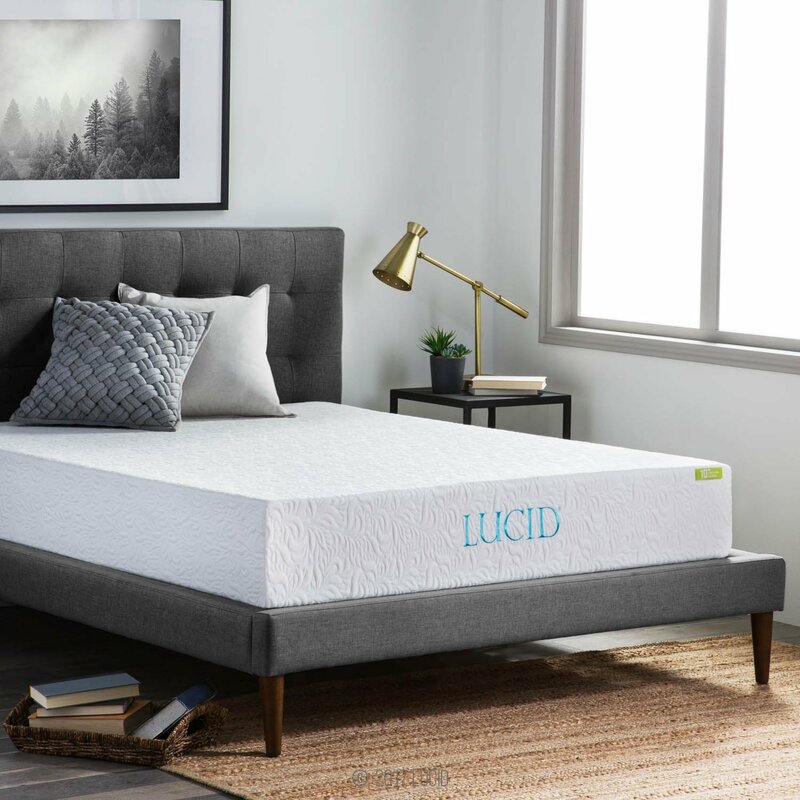 This Lucid has a medium feel and a Tencel cover to help control temperature of the sleep surface as well as moisture control. 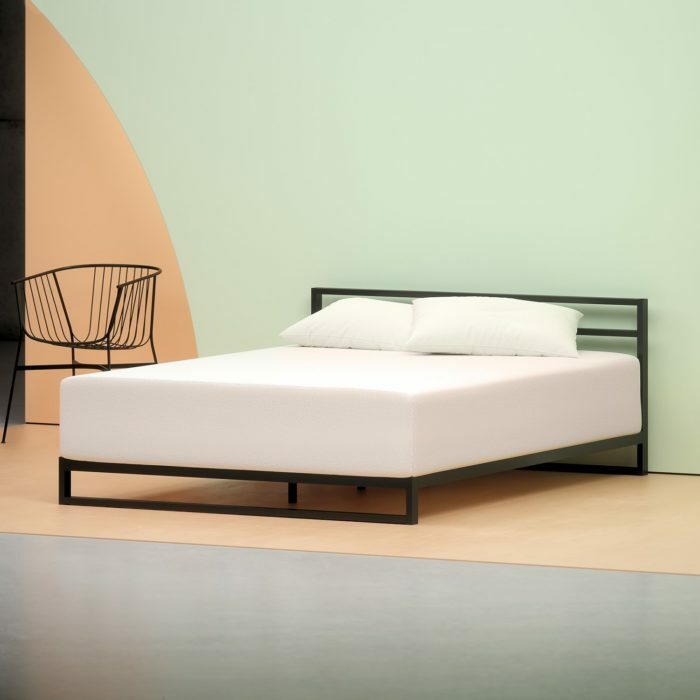 If you prefer to sleep on latex and don’t want to spend $1000+, Lucid’s 10 Inch Latex Foam Mattress is going to exceed expectations when start sleeping on it. Hybrid mattresses are made from a combination of products like memory foam, latex, steel coils, etc. Hybrid mattresses combine some of the best features of several materials and many people enjoy the best of all world’s sleep surface as they would call it. Hybrid mattresses are traditionally more expensive than memory foam and cheaper than latex depending on the materials used. Linenspa’s 10 Inch Latex Hybrid Mattress has a medium firm feel. A queen mattress costs $299.99. This hybrid is temperature neutral, so you don’t have to worry about waking up hot every night. This hybrid has 4 layers of foam and latex and 7 inches of individually encased steel coils. These steel coils are individually encased to provide motion isolation so you don’t get woken up every time your partner moves and also provide pressure relieving support. If you don’t like memory foam and want a best of all world’s sleep surface, this Linenspa Latex Hybid is a great bargain. 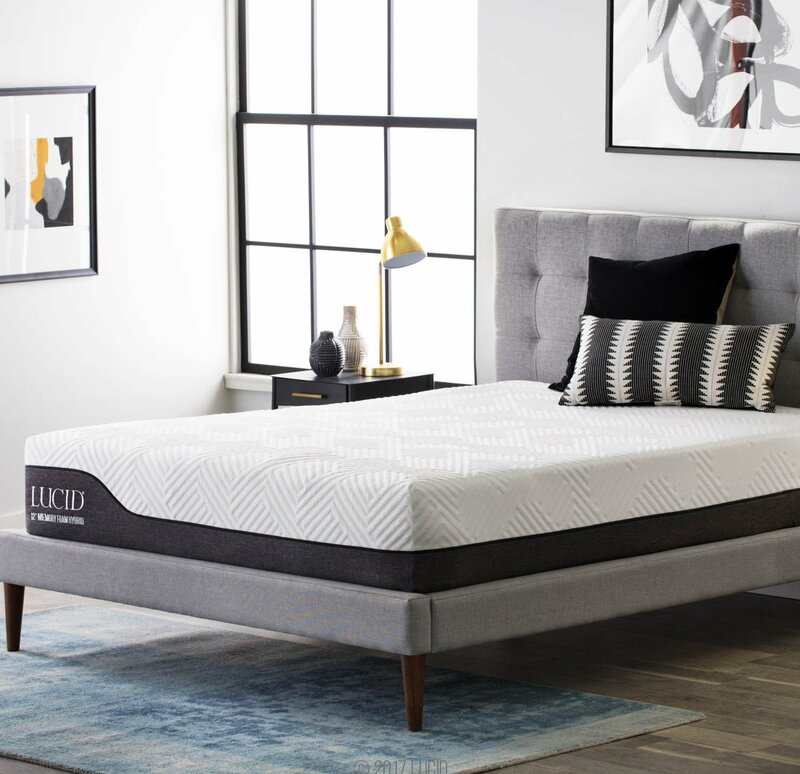 Lucid 12 Inch Hybrid Mattress with Bamboo Charcoal and Aloe Vera Infused Memory Foam is a steal at $399.99 for a queen. This 12-inch mattress features infused foam with bamboo charcoal to naturally eliminate odor and aloe vera to create a calming and relaxing sleep environment. Bamboo is very mild and is great for those with sensitive skin or acne. Individually wrapped steel coils make up the support base of the mattress. These individually wrapped coils provide pressure reliving support and minimize motion transfer. The mattress quality for $399.99 is hard to believe until you sleep on it for a few nights.